My experience with Dr Rush has been fantastic. She is a delightful person and extremely professional. Does a great job. I tell my kids: ‘Look at your inheritance, boys!’ Every place we go, and being a Free Mason I go a lot of places, the boys all call attention to my teeth.” – Donald M.
This is Jessica. She has been undergoing treatment since December, 2016. 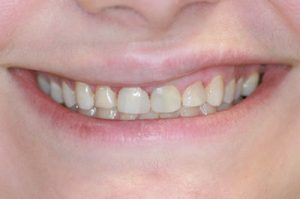 She had severe decay on her front tooth which went down to her nerve. She needed root canal therapy then some cosmetic bonding to show off her pretty smile. 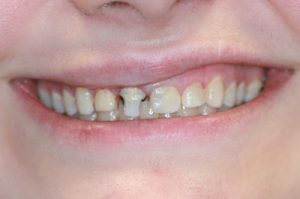 Jessica will require additional work on her front teeth to further improve her bite and smile. Stay tuned to see her smile progress.